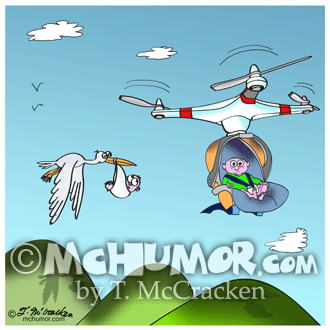 Drone Cartoon 9482: A stork delivering a baby looks at a drone carrying one in a car set. 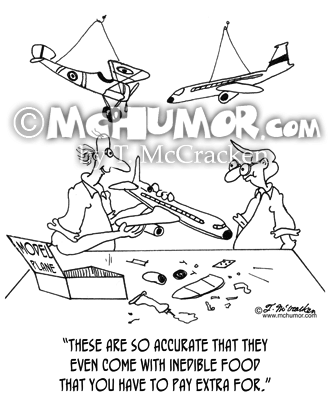 Kit Cartoon 4965: A man with a collection of model planes says, "These are so accurate that they even come with inedible food that you have to pay extra for." 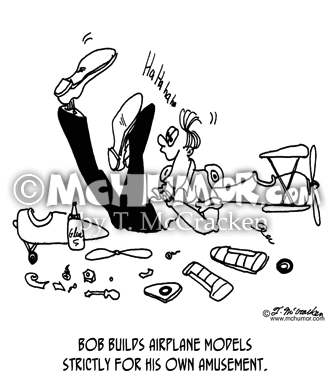 Model Cartoon 5784: A man rolls around the ground laughing hysterically, "Bob builds airplane models strictly for his own amusement." 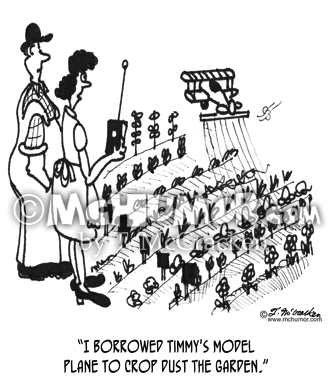 Garden Cartoon 3210: A woman with a remote control and toy plane says, "I borrowed Timmy's model plane to crop dust the garden." 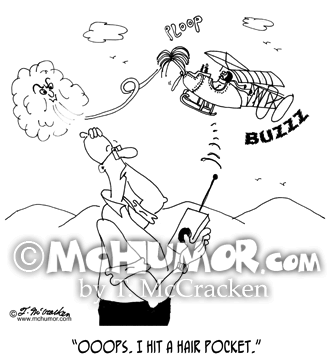 Hair Cartoon 5786: A man flying a model airplane that takes off his toupee says, "Ooops. I hit a hair pocket." 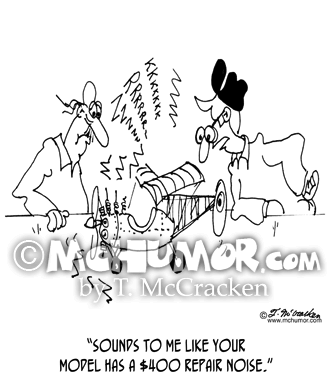 Model Cartoon 5781: A man listening to a model airplane rattle says, "Sounds to me like your model has a $400 repair noise." 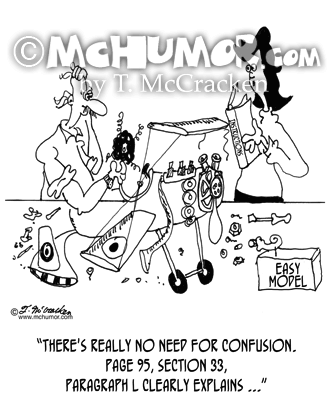 Model Cartoon 5783: A woman reading instructions says to a frustrated man building am airplane model, "There's really no need for confusion. 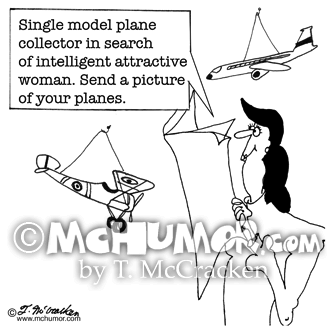 Page 95, section 33, paragraph L clearly explains ..."
Model Cartoon 5785: A personal ad says, "Single model plane collector in search of intelligent attractive woman. 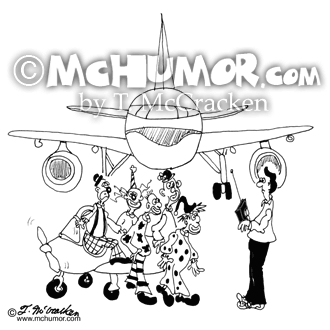 Send a picture of your planes."